The time has come to draw two winners for a signed copy of The Road Home. Thank you all for entering, it was fantastic to hear all about you. I loved reading your comments. And the second person drawn was Felicity Morley! Huge congrats to both ladies, and hopefullly I’ll get the books in the mail for you this week. But that is not all. Tomorrow I’ll have guest blogger and well known rural author Fleur McDonald over answering a few questions. 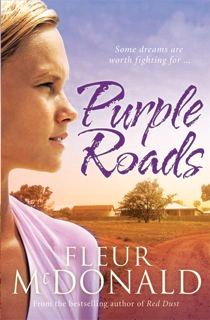 I have just finished reading Purple Roads so I know you won’t be disappointed.